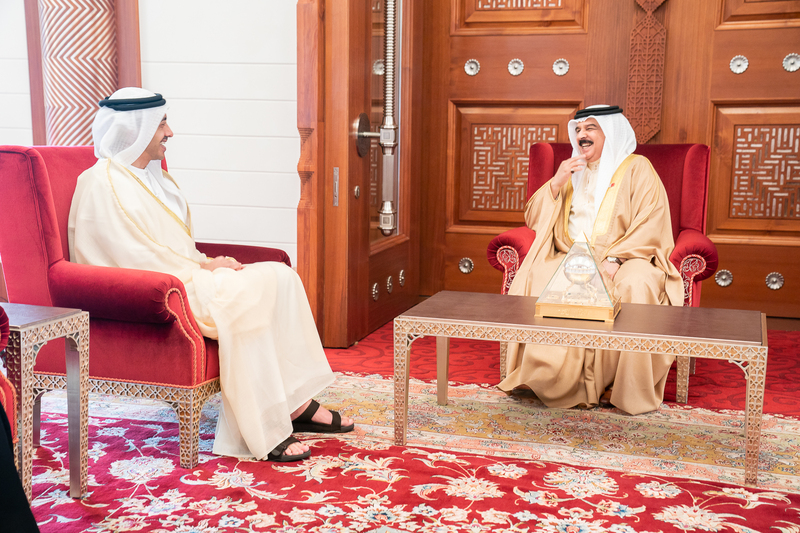 MANAMA, 30th October, 2018 (WAM) -- King Hamad bin Isa Al Khalifa of Bahrain has received H.H. Sheikh Abdullah bin Zayed Al Nahyan, Minister of Foreign Affairs and International Cooperation, in the presence of Noura bint Mohammed Al Kaabi, Minister of Culture and Knowledge Development. 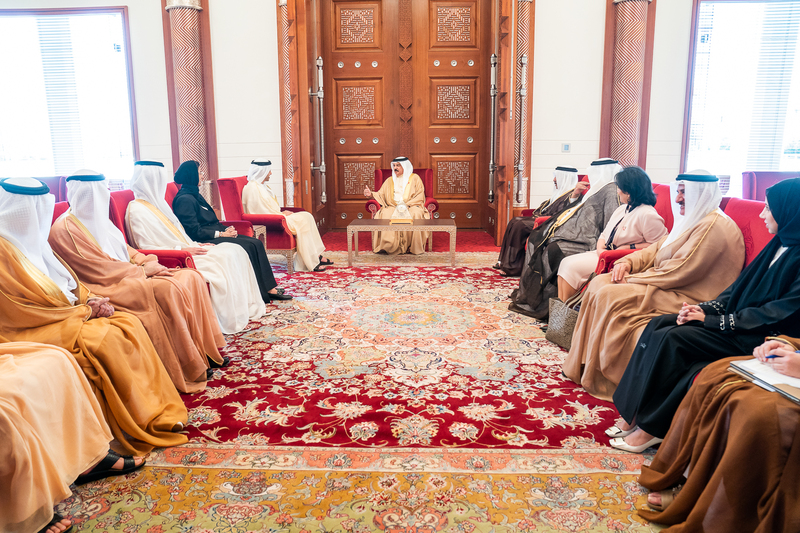 King Hamad commended the results of the joint UAE-Bahrain committee that convened on October 29th-30th, during which a number of agreements, MoUs, and executive collaboration programmes was signed to propel cooperation in areas of economy, finance, culture, education and tourism. He lauded the efforts made by the taskforces formed to translate the two countries' vision into fruitful actions that ensure the higher good of their two peoples. King Hamad spoke highly of the UAE's unswerving support for the Kingdom of Bahrain, hailing the prestigious position now boasted by the UAE at the international scene and the impressive achievements made across all domains, in addition to the country's backing of Arab and Islamic causes and its good offices to establish peace and stability in the region. He praised the successful launch of KhalifaSat, a milestone, which he termed as a 'qualitative step' forward taken by the UAE on the path of manufacturing and launching satellites through purely national cadres capable of delivering the future, surviving its challenges and ensuring prosperity and sustainable success to the nation. H.H. Sheikh Abdullah hailed the significant efforts made by King Hamad to strengthen the friendly ties between the two nations, affirming that the two countries' leaderships attach central importance to sustaining cooperation across all domains. Sheikh Abdullah conveyed the greetings of President His Highness Sheikh Khalifa bin Zayed Al Nahyan, His Highness Sheikh Mohammed bin Rashid Al Maktoum, the Vice President, Prime Minister and Ruler of Dubai, and His Highness Sheikh Mohamed bin Zayed Al Nahyan, Crown Prince of Abu Dhabi and Deputy Supreme Commander of the UAE Armed Forces, to King Hamad and their wishes for further development and prosperity to the Kingdom. In return, the King reciprocated warm greetings to the UAE leadership, reiterating that the two countries' ties are based on a solid foundation of cooperation across all spheres.